This labeling system designed to label the leading edge and the sides of any number of products. 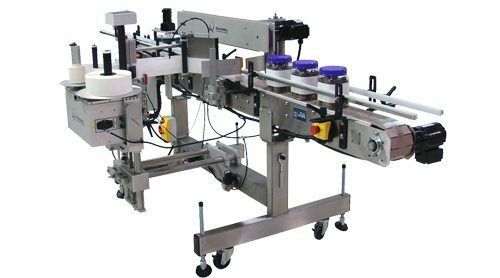 Features include a 10′ stainless steel conveyor, top hold down assembly and dual squeegee impressers. The label is dispensed across the conveyor onto the dual panel squeegee assembly (saloon-door style). As the product contacts the label, the dual impressers complete the label wipe-down onto the sides of the container.